It is important to take a stand that the consciousness is a subordinate, and I, the Personality is the Master. A lump of sugar is the attention which I have. The consciousness cries, whimpers, wears out, attacks only for the sake of one thing – to get the attention. 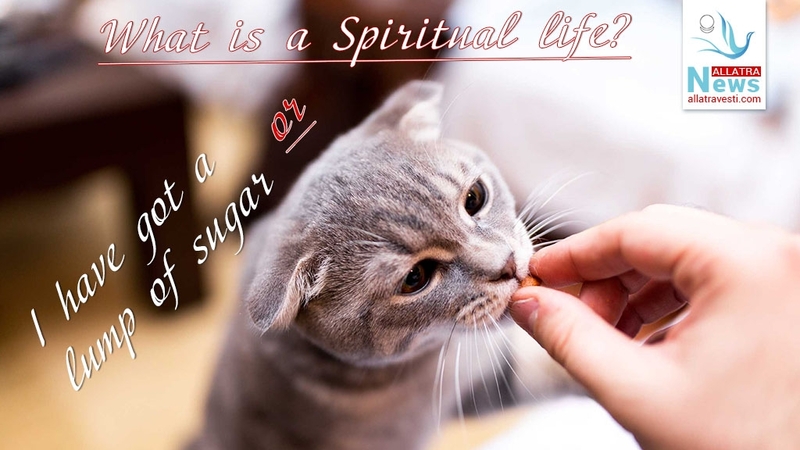 But I have the lump of sugar… If internally I firmly decide not to feed my enemy, which craves for my death (unfortunately, we do not always perceive it seriously), then everything becomes more simple. I have got a lump of sugar after all. Why should I give it to someone, who after “eating” it, will begin to strangle me? Isn’t it better to tame it, making it do what is useful and needed for me as the Spirit? For example, making it work, distributing Primordial Knowledge (using all accessible and convenient methods), as by doing that I strengthen my Spirit, besides, I increase, many times, my Chances for Salvation. The sooner more people will know about Primordial Knowledge, the sooner the Monad will turn over, that is, the sooner the society will transform for the better, and it means, the world will become safer. It means, we and our dearest won’t be annihilated by cataclysms and wars. Everything is interconnected. Nothing passes without leaving a trace. Helping other people we actually help both ourselves and our dearest and nearest. A Spiritual life isn’t a permanent sitting in meditations, prayers, renouncing the world. First of all, a spiritual life is an active position in every day! An active position in relation to consciousness (the Personality is a master, the consciousness is a subordinate, a lump of sugar is the attention, which I have as the Personality!) is distribution of Primordial Knowledge, really good deed. It is one of the most meaningful and significant thing in the eyes of the Almighty. Because it increases chances and contributes to the fact that all creatures of the Lord acquire a chance to come back to their Creator! That is why it is so important to invest your attention to the most important things. The most important is to make this essential number one! It is possible only when you invest your attention to the most important! After all, I have a lump of sugar.